This is a guest blog by Polly Turton, a climate change adaptation consultant based in Arup’s Advanced Technology and Research (AT+R) team in London. It originally appeared on the M&S blog. The weather is forecast to be the subject on everyone’s lips even more often in future, but, unfortunately, for all the wrong reasons. We have already arguably seen the impacts of climate change manifest in such extreme UK weather events as flooding of the Somerset Levels and the Dawlish railway-line collapse. The sad fact is that we now associate the weather with making big headlines, as much as small talk. Furthermore, it is not just rural and coastal areas affected. Built in 1982, the Thames Barrier was designed to be deployed on perhaps two or three occasions a year to protect the Capital from flooding. In the winter of 2013/14, it was closed a record 50 times. Just like homeowners, businesses are facing up to this new reality. They are already experiencing the effects on their shared environment and community – stocking up on sandbags, whilst insurance premiums rise. Retailers in particular are coming to terms with what it means to be prepared and resilient. At Arup, we have been working with Marks & Spencer to assess the weather- and climate-related risks to their UK stores. We are developing appropriate climate change adaptation and resilience strategies in response to their Plan A commitments, for both existing properties and new development. M&S are not dealing merely with some ‘what if’ scenario. Climate change impacts are real and happening to them, their staff, customers and properties. Despite M&S being alive to the issues, passionate about good store design and committed to high standards of operation, there is still no escape. In the last decade, weather-related incidents have affected M&S buildings thereby justifying a business case for climate change adaptation. What is also plain, however, is that this is not a topic any one organisation should or can tackle on its own. Let’s face it, when has a storm or a heatwave ever hit only your house and not that of your next-door neighbour? Shared problems call for shared solutions. Accordingly, M&S is leading a collaborative drive to pool knowledge and resources, boost understanding of risks and speed response. To do this, as well as reaching out to customers and local community networks, M&S has also brought together a broad mix of government bodies, businesses and NGOs in a series of roundtable discussions with external stakeholders. From technology trends to climate maps and from landlords to health professionals - sometimes with issues this complex and perspectives that varied, the best place for people to start is, literally, in the same room. Taking this approach also means that the financial, social and environmental benefits of climate risk management can be shared across companies, catchments, cities and communities. The collective wisdom of this expert cohort is then being disseminated even more widely via the Environment Agency (EA), so other companies and organisations can benefit. 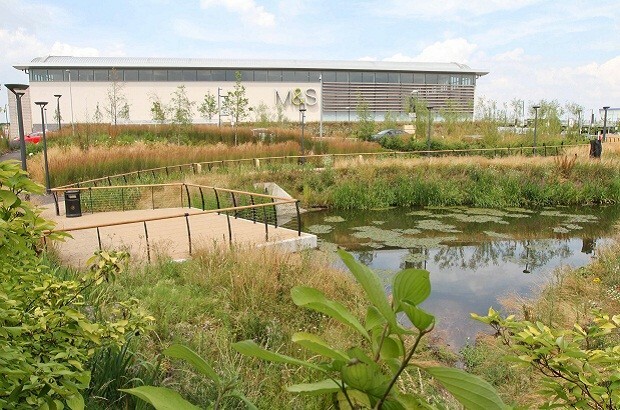 For M&S, working in tandem with the EA in this way also builds on their successful collaboration around ‘Flood Hubs’ last year. Meantime, the weather continues to make news, with the hottest July day ever in the UK recorded last month. 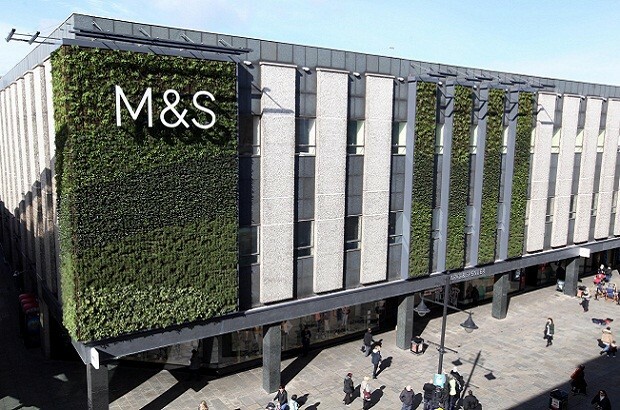 The burning question M&S is asking, through its collaborative approach to climate change adaptation, is what are we going to do about it, together? The time for just talk is over.